Anthony Harrington assesses the food and drink industry, a flourishing and innovative area of the UK economy. When people think of manufacturing, their thoughts turn to bashing heavy metal or, if they are attracted by cutting-edge technology, perhaps to 3D printing. Food and drink tends not to be uppermost in their minds. Yet the food and drink industry is the UK's biggest manufacturing sector. According to the UK Food and Drink Federation, it has a turnover of £95.4bn, with a Gross Value Add of £25.7bn and accounts for some 18 per cent of the total manufacturing sector, as measured by turnover. It also employs more than 400,000 people, or almost 17 per cent of the overall manufacturing workforce in the UK. However one measures it, food and drink is one of the most innovative and best-performing areas of the UK economy. Labour force productivity has improved by 12 per cent over the last 10 years, according to the Federation, which has resulted in UK food and drink workers being nearly 50 per cent more productive than the European Union Average. The sector invests around £425m in R&D, which, in 2013 (the latest year for which statistics are available) translated into more than 16,000 new products. In addition, the industry exports almost £19.5bn of food and drink products annually, with food and non-alcoholic drinks amounting to just over £12.8bn. The issues and challenges impacting the sector are many and various. They include compliance and regulatory pressures, concerns over labelling and increased emphasis on traceability right through the supply chain. then there is the intense competition, plus worries over labour costs and, particularly for premium brands in some emerging overseas markets, the need to defend brands against counterfeiters. James Chadwick, Head of Food and Beverage, Scotland at Grant Thornton, argues that for any company in the food and drink arena that wants to grow at a faster pace than the economy generally, developing a strong export is key. "The UK market alone is not going to provide significant long-term growth. Companies can try to make marginal gains from their UK operations by taking shelf space away from competitors and extending their presence with major supermarkets, but the scope is limited. You are never going to become a global player by producing goods just for UK retailers," he says. In contrast, the expansion of the middle classes in emerging economies offers much more significant opportunities for growth. "All the research shows that as emerging market consumers move into the ranks of the middle classes, they start to buy better quality products and more branded food products. There is real scope for British companies to try to win business in emerging markets," James comments. Of course, exporting is not easy. "When I talk to potential exporters, they worry about how they can sell effectively in a new market and about how they can get the necessary introductions to retail outlets. These are problems that the industry bodies recognise and Scotland Food and Drink is putting people into key markets so that it has representatives on the ground that can help new exporters," he says. Adam Hardie, business development partner and head of food and drink at Johnston Carmichael (which acts for a large number of food and drink businesses across Scotland), points out that food manufacturing, in particular, has increased hugely over the last five years. "The big driver, which is pushing the growth of food manufacturing in Scotland faster than elsewhere in the UK, is the whole 'eat local' phenomenon," he says. Some 90 per cent of Scots say that eating Scottish is important to them and in surveys more than half of Scots say they are willing to pay a premium to eat food produced in Scotland, he notes. However, Adam reckons that at present the food and drink industry in Scotland is missing a trick in that there is usually nothing on the label to draw the consumer's attention to the fact that a particular item is local produce. "The Smith Commission on the devolution of powers to the Scottish Parliament recommended the creation of a 'Made in Scotland' badge to go on Scottish produce. We don't have that yet and it is an important omission that could really help the local food and drink industries," he notes. Adam argues that exporting can be a real game changer for companies in the sector right across the UK. Scottish companies in particular really need to expand their focus when it comes to exporting. "We are in a very strong position, particularly in the north-east, with a fertile land and plenty of water, but we export more to Ireland and England than we do to India, China and Brazil combined," he notes. Amanda Jones, partner and head of employment and pensions at Maclay Murray & Spens, notes that the recent court judgement in England on holiday pay will undoubtedly raise costs for the sector, but that it also offers an opportunity for food and drink companies to enhance their reputations as employers. "The basic thrust of the EU and the UK legislation on holiday pay is that it is a health and safety issue," she points out. Holidays are essential to help staff unwind and relax. They reduce stress and, ideally, reinvigorate staff. As such, anything that puts barriers in the way of staff opting to take leave that is due to them needs to be addressed, and this is what the recent judgement does. Amanda adds: "Production companies in the food and drink sector may have various supplements to basic pay, such as shift allowances, stand-by allowances and performance bonuses. Where in the past these may not have been included when calculating holiday pay, they will now all be considered part of 'normal' pay. Food and drink companies across the UK will need to work with their advisers to form a clear view of what they are prepared to consider 'normal pay', based on actual working practices in the company, and holiday pay will need to be adjusted accordingly." Ken McGarrity, group finance director at Nairn's Oatcakes, reckons that the recent legal judgements on whether to include overtime within holiday pay calculations still lack clarity. "We need clarity, consistency and clear definitions to come to a decision on this, so we are actively consulting, both internally and externally, before making any changes to policy," he comments. In the food and drink sector, the premium product par excellence is whisky. 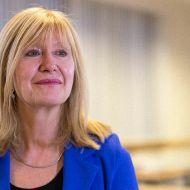 Jones's colleague at Maclay Murray & Spens, Susan Snedden, a Director in the firm's IP and technology team, points out that one of the problems the industry used to have was that, instead of counterfeiting a particular distiller's brand, some criminals targeted Scotch whisky itself. This happens when an inferior alcoholic beverage concocted elsewhere is bottled and sold as Scotch whisky under a new brand or name. Since no particular distiller's product is being threatened, the danger was that no-one would have sufficient incentive to bring an action against the counterfeiters. However, under new regulations, the Scotch Whisky Association is now empowered to take action in its own right, on behalf of all its members, without having to persuade a particular distiller to step up. "We acted for the association in the first case under the new regulations," Susan says. Of course, to bring an action against a counterfeiter in a foreign country, you need the laws of that country to recognise intellectual property rights, including brand and trademark rights. The Scotch Whisky Association has had a pioneering role in the food and drink sector in the work it has done and is doing with foreign governments to get them to strengthen legislation to protect premium brands and Scotch whisky generally. "The Association has done a lot with governments in the Far East, using trade missions to lobby the relevant governments to put laws in place. It has had some successes in India and China. South America is a big focus for the Association as well," Susan comments. Richard Tipper, executive chairman at Ecometrica, points out that scandals such as the recent passing off of horsemeat as beef across a whole range of pre-prepared food products, has added considerable impetus to the idea of traceability, where all the various ingredients in a food product can be traced back to the original supplier. "This demand for traceability comes out of the whole 'trust' agenda. It is being partially driven by consumer demand, but also by scandals like the horsemeat saga, and scares like 'mad cow disease' where supply chains have been shown to not be delivering what was promised," he says. While many areas of the food and drink arena currently do not have full traceability as a legal requirement, the big retail chains already recognise that scandals in this area can really hammer their profits and their reputations. "Areas like meat and dairy, which are highly regulated, are already very advanced in terms of traceability, though we do still see lapses where condemned carcasses find their way into butcher shops. However, with commodities such as soya beans, palm oil, grains, coffee and tea, there are huge difficulties in the way of bringing in full traceability," he notes. What makes it so difficult in these instances is the way these products are traded and bulked up. "You know that a definite percentage of the soya beans in a particular storage centre came from a particular region, but you can't work back from there to say which beans came from which farm," Richard explains. In part then, traceability is also about understanding what exactly the various forms of traceability in food and drink can deliver. With ethical brands, such as Fairtrade, the sector implements what is called a "mass balance" system, so a particular centre might have 20 per cent of what comes in to it as fair trade product, and the rest is not meant to be classified as fair trade. When it comes to selling the commodity on, 20 per cent of the stored product will go as Fairtrade, but all the beans are commingled, so this is not a supply chain that leads back to any particular grower. "The cost of providing grower identity all the way through the chain in a mass market commodity product will be high. It can be done if consumers and governments demand it, but there will be costs," he comments. One of the things Ecometrica does is provide information to companies on where products are sourced and how they might be affected by or might impact environmental factors such as soil erosion and deforestation. "Satellite imagery and large databases of such information are now very useful. We have done work for supermarkets, for example, making sure that the soya beans the chain is buying have not been grown on deforestation land. Technology has a huge role to play in helping the sector refine and enhance traceability," Richard comments. Laura Tainsh, a specialist in environmental law at Davidson Chalmers, points out that the food and drink sector is heavily affected by environmental concerns and sustainability issues. 'food miles' is one obvious example, where consumers are being urged to "buy local" to avoid the environmental impact associated with bringing out-of-season goods from far away places. "There are many regulatory angles, so knowing what is changing and having someone responsible for monitoring regulatory and compliance changes takes up a lot of resource for food and drink companies. A good many of the smaller companies in the sector struggle with this," says Tainsh. The whole 'food miles' issue has some very positive outcomes from the perspective of local communities because it encourages local suppliers to collaborate in farmers' markets and the like. However, Tainsh points out that the major supermarket chains are bound to deliver what consumers demand, so until the public stops wanting to eat seasonal products all year round, the 'food miles' sustainability issue doesn't get much traction at the national level. Finally, Grant Thornton's Chadwick makes the point that food manufacturers often fail to realise that they are as much entitled to the tax reliefs provided by the UK Government's Patent Box and R&D tax credits scheme as metal or electronics manufacturers. "Both these regimes can be very relevant as food and drink companies try to innovate, particularly in the field of packaging. The key message, in this regard, is to talk to your advisers. Tracking all the costs involved in a qualifying project, in order to claim relief under the R&D tax credit scheme, for example, is so much easier if the project is set up from the outset with tax relief firmly in mind," he says.